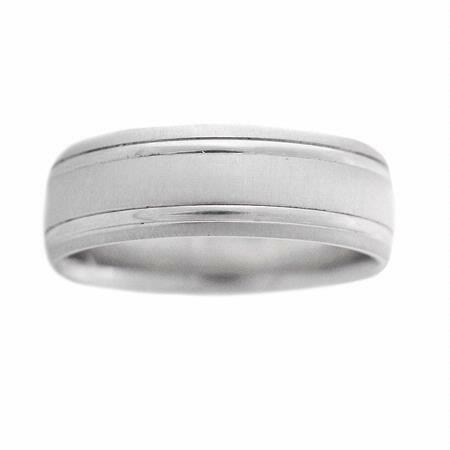 This brand new platinum men's wedding band ring, features a matte finish and beautiful polished details completely around the band. A symbolic expression of your everlasting love! 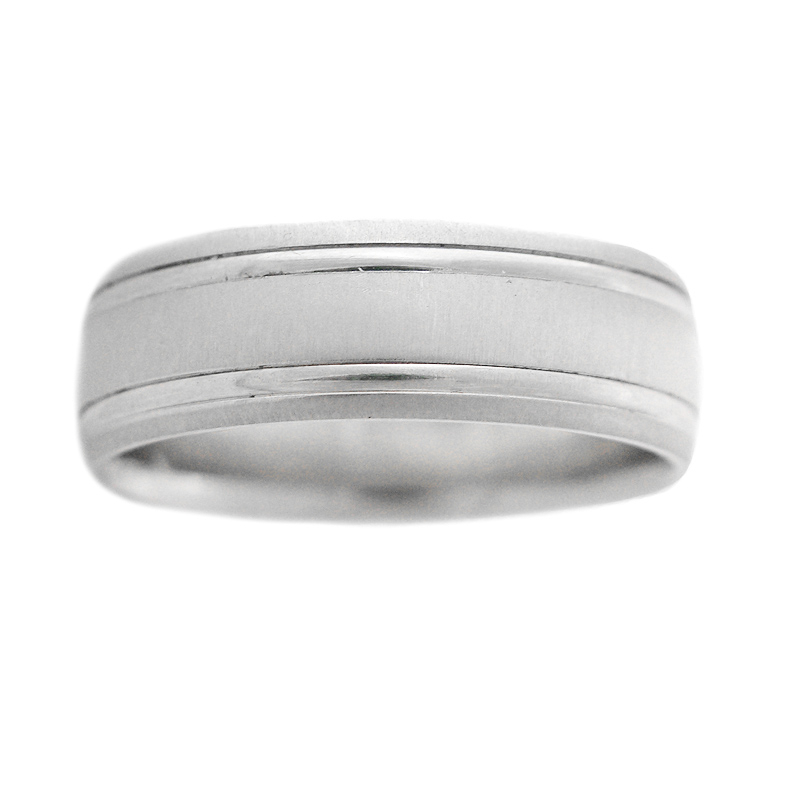 This ring is size 8.75 and measures 7mm wide.